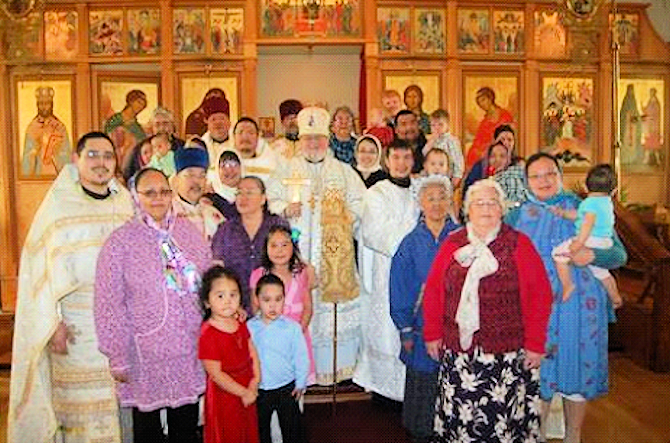 Alaska Pilgrimage 2015: "Walk the Path of the Saints"
The Orthodox Church in America posted an article on our 2015 pilgrimage. Pilgrims will meet in Anchorage on July 30, 2015 and will conclude their journey there on August 10. An optional two-day package to Sitka will be available for those desiring to add this “pearl of Orthodoxy”—Sitka is the home of the historic Archangel Michael Cathedral, in which the Wonderworking Sitka Icon of the Mother of God is enshrined—to their pilgrimage. The pilgrimage also includes visits to Bethel, on the Kuskokwim River, where participants will join the region's clergy for services at the new Saint Sophia Church and enjoy a dinner with the local faithful. Ancient Faith Radio Interview interview conducted by Fr. John Parker with Fr. John Dunlop, Dean of St. Herman Theological Seminary in Kodiak. We had 3 graduates on May 11 at 5:00 at St. Mary Parochial School: Deacon Michael Trefon, sponsored by St. George Cathedral in Wichita; Fr. Simeon Askoak, sponsored by St. Nicholas Cathedral in Washington DC; Fr. Jason Isaac, sponsored by Olga Dunlop in Stanford, CA. A wonderful commencement banquet was served by the St. Innocent Academy students and staff (a project of the Bulgarian Archdiocese and is a marvelous outreach to troubled young people all over the US). His Grace Bishop David was the featured commencement speaker. Following the award of degrees, I presented a beautiful ancient carved icon of Christ to the seminary. It was sent to me from a long time Outreach Alaska donor about five years ago. He found this icon in Belarus in 1994 and wanted it to go to the seminary in Kodiak. With the new bishop in place, it was time for this icon to travel with me to Kodiak to be at the seminary, near the relics of St. Herman as they lay at peace in the cathedral just one block from the seminary. Andrea Lutov, the sponsor from Washington, DC traveled to Kodiak for the ceremonies, and I invited her to present her parish gifts to Fr. Simeon. This included new vestments, a large icon of St. Nicholas, and the final sponsor fees of $600. She also announced that her parish had taken a collection for Fr. Simeon for $1,000+. Following Andrea, I presented sponsor gifts of new vestments, a large icon of St. Innocent, and a check for $600 to Fr. Jason. Deacon Michael was presented a large icon of St. George and his final sponsor check of $600. Thanks to the Adopt a Seminarian sponsors, these three men have bcome wonderful workers for our Holy Land in Alaska. Fr. Simeon is on the Aleutian Chain living in Pilot Point serving the parish and traveling to Chignik Lake, Chugnik Bay, Perryville, and Port Heidon (a priest to five parishes each area having less than 150 population). Fr. Jason goes to the Lower Kuskokwim region and serves the parishes of Pitka's Point (125 population) and Mountain Village (500 population). He will also start a mission church in St. Mary, AK (750 population). Deacon Michael will go to Anchorage and be the bishop's Deacon. He is expected to be ordained to the Holy Priesthood in 3-4 years. 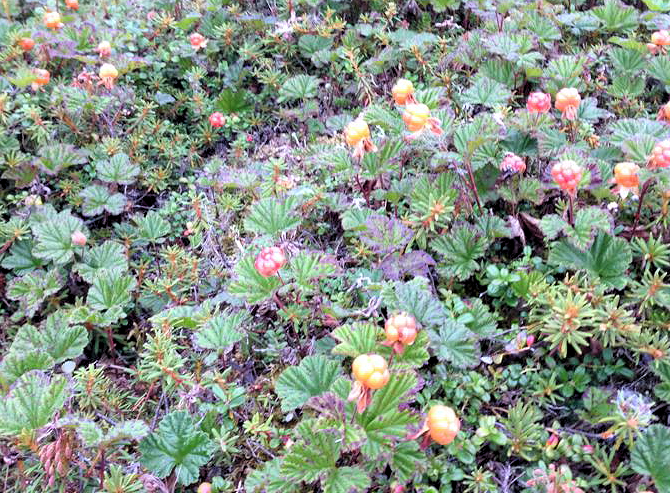 These are prized berries for making Salmon Berry Jelly for the winter. Memory Eternal to the newly departed servant of God, the Priest Yago Stevens, who reposed in the Lord on Sunday, August 10, 2014. The priest Yago Steven was born on August 25, 1953, he grew up in Oscarville, Alaska. Father Yago was the sixth of eight children. He had a long time career in the National Guard and retired with the rank of Sargent at the time of his ordination to the priestly order. Father Yago is survived by his wife, Matushka Elizabeth; daughter and son-in-law, Katherine and Joe Amik and their three children, John, Alexie and Ralph; and siblings Martha Larson, Annie Frank, Nicholai Steven, Marie Jacob, Balassa Larson and Olga Mezak. He was predeceased by his sister Nastasia Larson. 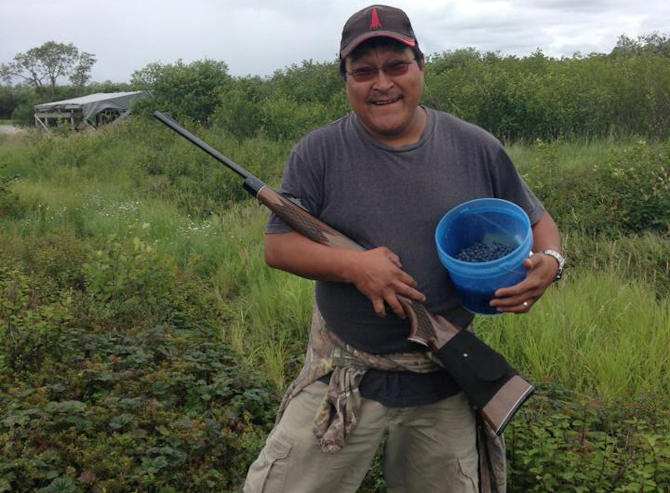 The service of the funeral took place on Wednesday, August 13 at St. James Church in Napaskiak, AK. The Divine Liturgy was concelebrated by His Grace, Bishop DAVID and numerous clergy followed by the burial in Napaskiak. May Father Yago's Memory be Eternal. Yuucimun Iquilngurmun! Today we celebrate the glorification of America's first saint. As pilgrims gather in Kodiak for the boat ride to Spruce Island, prayers are offered throughout Orthodoxy for this beloved saint. This is the 220th year since the missionaries first landed in Alaska, and hundreds of people are attending services and reverencing the relics at Holy Resurrection Cathedral in Kodiak. O Chosen Doer of Wonders, most glorious favorite of Christ, our God bearing Father Herman, Alaska's adornment, the joy of all Orthodox in America. We sing to you, our heavenly protector and powerful intercessor before God, these songs of praise. Cease not to pray for your children, who cry fervently to you: Rejoice our Venerable Father Herman of Alaska, America's most glorious doer of wonders. 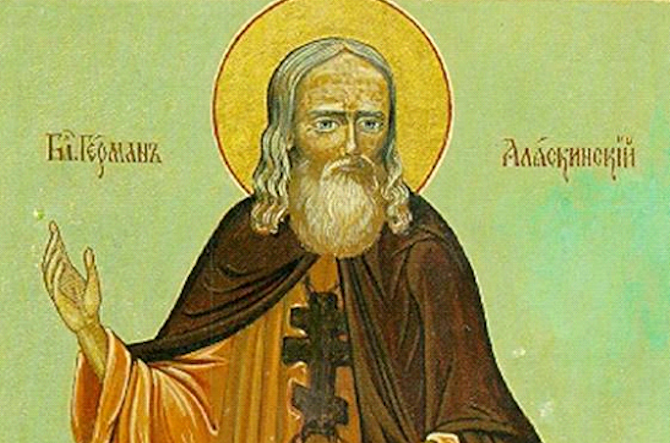 SAINT HERMAN OF ALASKA, the first "American" saint, was the first to bring Orthodoxy to this continent. He came to America as a young monk in 1794 as part of the original Russian Orthodox mission to Alaska. He lived there until his repose, and for more than four decades taught the natives by word and example. With his own severe asceticism a secret, he ministered to both physical and spiritual needs of the people. And his memory is preserved, fresh and personal, among their descendants' to this day. Ironically, however, he is unknown to so many other Americans. By his prayers may we, also, truly receive the Gospel he brought and follow the way that he taught. IN 1793 AN ECCLESIASTICAL MISSION was composed in Valaam Monastery and sent to preach the Word of God to the natives of Northwestern America, who ten years before had come under Russian rule. 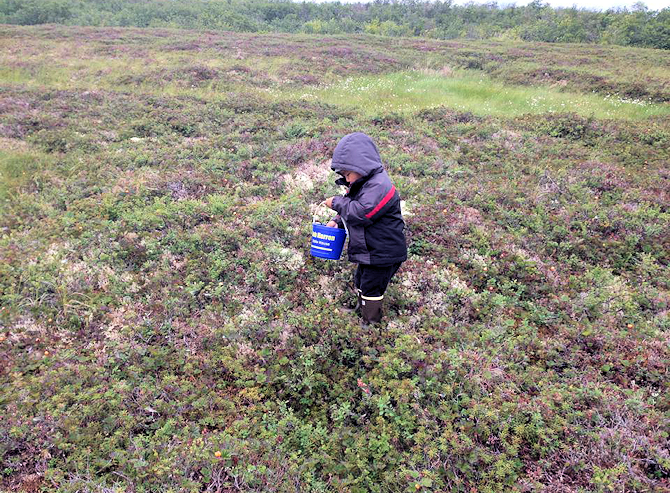 Among the members of this mission was the Monk Herman, the future Elder of Spruce Island. Help the Orthodox in Alaska!